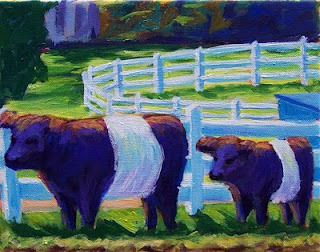 This is a commissioned painting from a customer who saw the original "Belties" at The Red Canvas Student Show in early December. The original had already been sold, so I offered to paint it again. I still love these cows!